When it is time to get a replacement conservatory roof? A conservatory is a great investment for your home, adding an extra room and a pleasant place to sit come rain or shine. However, conservatories that were installed 10 or 15 years ago will probably be starting to show a little bit of wear and tear by now, and you may even be experiencing problems with leaks from the roof. But how do you know when it is time to get a replacement conservatory roof? And when the time comes, how do you decide what material you should use? 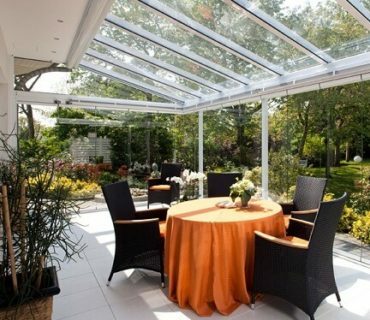 Most likely the current roof on your conservatory will be made of either glass or a see-through polycarbonate plastic. In some cases, it is obvious that the roof needs replacing (perhaps there is a crack or you have noticed a leak during wet weather), but at other times it might not be so obvious. For example, minor leaks may have caused mold to start developing along the joins or in the corners. 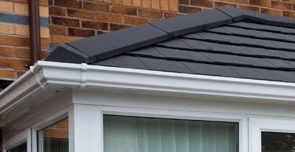 You may want to get a replacement roof simply to improve the appearance of your home, especially if your conservatory was installed in the 1990’s and needs updating. Some people may consider outing a new roof on their conservatory if they are trying to sell their home, but given that it is not really a low budget project, you will want to assess the new conservatory roof cost versus a new conservatory cost before making that decision. What type of material should I use for my conservatory roof? 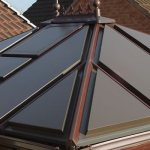 If you decide that it is time to get a new conservatory roof, then next you have to choose what material you would like to use. 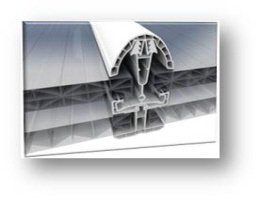 The cheapest option is to simply replace the existing panes with new sheets of either polycarbonate plastic or glass. 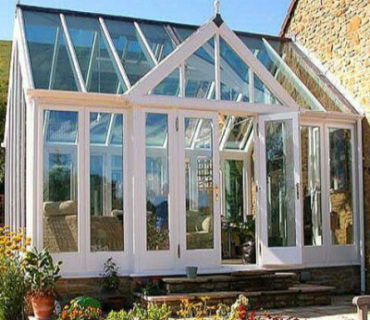 While this would resolve problems caused by cracks or leaks in the glass, many people find that after years of a completely see-through conservatory, they fancy a change. 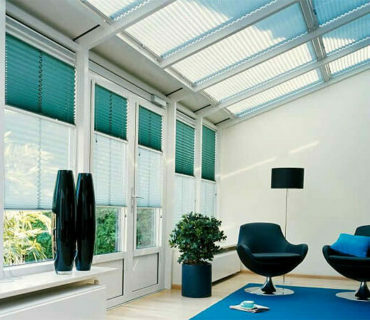 Besides, conservatories which are all-glass or all-polycarbonate plastic are notoriously difficult to heat, if you want to use them in winter, yet can over heat far too quickly, if you want to use them in summer. Add in the fact that rainfall on glass or plastic is extremely noisy, shattering your peaceful Sunday afternoons, and you can understand why some people look for alternatives once they have decided to get a replacement conservatory roof. 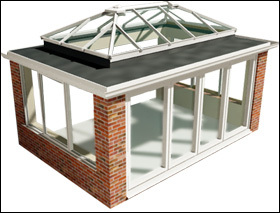 What about tiled roofs for conservatories? 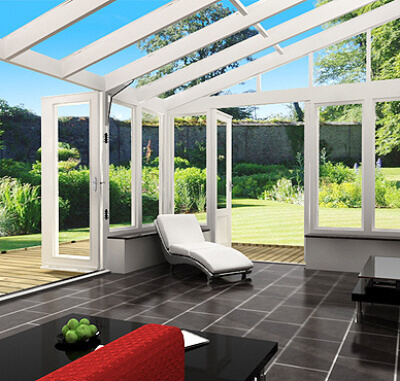 There is an alternative to glass or polycarbonate that is becoming increasingly popular with homeowners; tiled roofs. If you are thinking about this possibility, you should be aware that this option can be more expensive, but as with most things in life, you get what you pay for. Not only do tiled roofs tend to look more attractive and more modern, but they also insulate the conservatory much more effectively, both against cold weather in the winter and direct sunlight in the summer. It also cuts down the noise caused by rainfall. 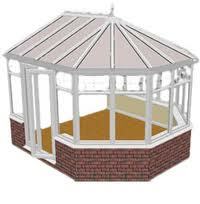 It is important, if you are thinking about a tiled roof, that you make sure your conservatory is strong enough to support the additional weight from tiles rather than panes of glass or plastic. If not, the bill could increase further if you need to have the whole conservatory renovated, just to change to a tiled roof. If you establish that it can’t take the added weight, you might well decide that the cost simply isn’t worth the benefit. All is not lost though. If you are in a dilemma about wanting a solid roof, but concrete tiles are just too heavy then why not look at these alternatives. Composite panels can be used to fully cover the roof area or in combination with glazed panels to create light and shade within the room. Whilst real slate may not be as heavy as concrete tile, it could still put a lot of pressure and a superb alternative to real slate is to use a lightweight synthetic tile – 2 companies who specialise in lightweight options being Supalite & Tapco tile. What factors influence conservatory roof cost? However, it’s not rocket science to figure out that a new polycarbonate roof will be the least expensive option, even if it’s not the longest lasting most elegant solution. How long does it take to deliver a new conservatory roof? Most companies the offer roofing services for conservatories will need at least 4 to 6 weeks from the time you sign a contract to deliver the materials to the site. How long does it take to fit a new roof? Well, if the job is straightforward then you could expect the work to be finished inside a week. Do a detailed consultation with your installer to get the time frame agreed for your project. Do I need planning permission for a tiled replacement roof? In some cases it is probably going to be needed. However, this is not an area that you can take for granted. It is well advised to check with your local planning department. Your installer should also be aware of any issues before starting work. Visit the Planning portal for information. Will I get more condensation with a solid roof? To avoid condensation problems any room should have some form of ventilation. Roof vents can be built in. Do I have to dispose of my old roof?